A software development plan is actually a composite artifact that contains all the information which is necessary in managing IT projects. As such it contains all the information about a project, right from its inception to the culmination. The purpose of a software development plan is to lay out the entire plan that is required in order to develop, modify or upgrade a software system whilst chalking-out details on how each step needs to be delivered. It covers every aspect- right from the projects process of software development implementation, documentation through to the software testing lifecycle and launch. 2.0 What does a Software Development Plan Include? So it is a huge effort that goes into integrating a software development plan. 3.0 What Should a Software Development Plan Contain? This provides an insight into the purpose behind chalking out the software development plan. This summarizes every aspect of the project that is undertaken by the software development plan. It usually lists out principal business needs, the software requirements specification (SRS), user interface requirements etc etc. This section looks at quality assurance and test planning aspects of the software development including project quality management. So in a way, it will check whether the product is performing the way it ought to, so as to meet consumer expectations off it. The test plan is mostly prepared during the project implementation phase and will cover the various stages of software testing. It relates to the overall test policy and inherent objectives, test case generation, a complete listing of the scope of the testing action and rules for acceptance of software. This is often forgotten in the process of software development. The reason being that developers like coding but had documenting what they have done. Hence it is vital to ensure that this part of the software development plan is not brushed under the carpet and forgotten! 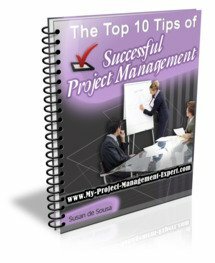 This includes a list of project deliverables that are to accompany the software. This lists out the assumptions that need to be made at the start of any project. This is vital so that other teams have a good understanding of the criteria you are basing your development on. This section highlights the risks that could be involved in undertaking the project. This is very important because knowledge of risk-factors would enable the managers to take appropriate timely steps to mitigate them. This section details the objectives, scope, policies, responsibilities and related criteria for the beta test plan in detail. Lack of time and resources which often hinders timely execution of the project quality plan. Absence of documentation in quality review tasks. Not paying enough attention to fully resolving the errors that are discovered. Leaving the errors unresolved which then causes future errors which are much harder to resolve. Inadequate time and budget for beta test review. Non-inclusion of GUI (Graphical User Interface) in quality review tasks. The good news as a Project Manager is that your technical or software development lead writes this plan. Hence all you should be doing is providing oversight in ensuring it is has workable timeframes which fit into your overall main project plan. One way to ensure this is to do project planning in teams to make sure everyone is working to the same dates, whilst making sure that strict project management resource allocation is adhered to, to prevent the best resources being triple booked by various teams working on your project!